Bethany Church in York: Congrats! 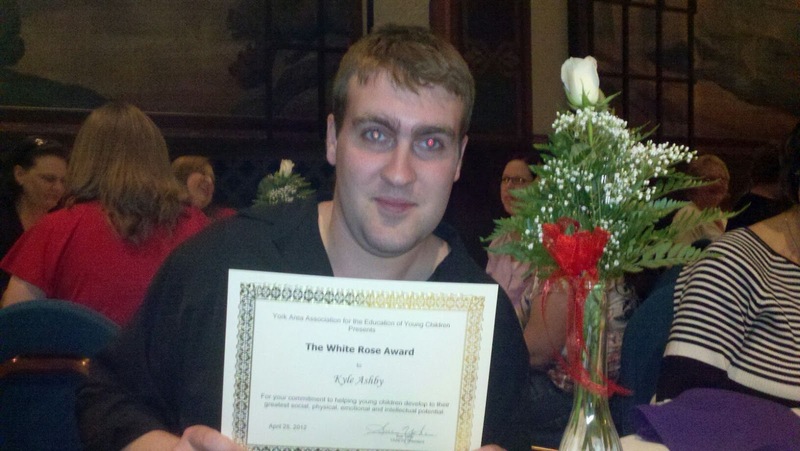 Kyle, one of our BCLC teachers, received the White Rose Award for exceptional teaching in Early Childhood and School Age Education. This recognition is given to only seven teachers out of hundreds in the south-central PA region, and is based on staff nominations and a review from the Office of Child Development. Kyle and Becky also received Outstanding Early Childhood Professional Awards based on parent recommendations. Congrats to Kyle and Becky, and to our entire outstanding BCLC team!